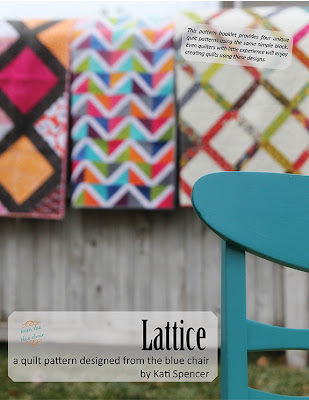 from the blue chair: Lattice Quilt Pattern Booklet Available for Purchase! Lattice Quilt Pattern Booklet Available for Purchase! Update: This pattern is no longer available for purchase. I've been quietly working on this pdf pattern for a few months now. I did a tutorial for this block two years ago and finally decided to turn it into a pattern. It's a simple block that's been around for a long time, but hopefully this pattern gives you ideas how to use it in different ways. 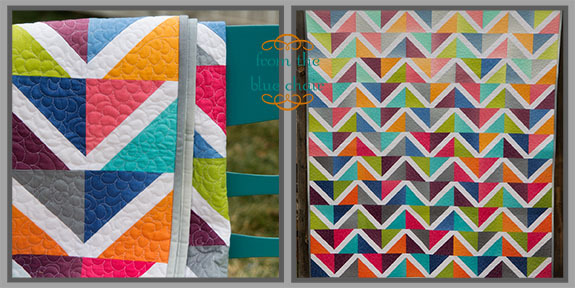 These blocks are not paper pieced as other similar tutorials I've seen. Also, there is fairly minimal fabric waste when constructing the blocks. To make these blocks you will need a 6 1/2" square ruler for the smaller blocks and a 9 1/2" square ruler for the large block. 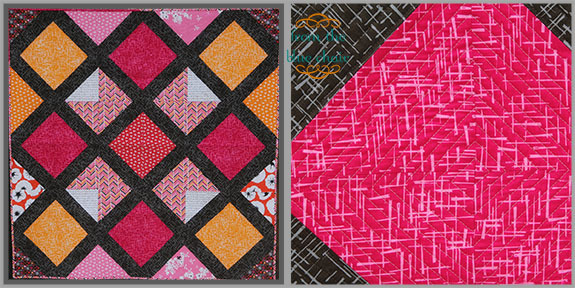 This pattern grew from just one pattern into four unique quilt patterns, several with multiple sizes. I kept coming up with ideas to use this simple, traditional block in lots of different designs. I finally made myself stop making quilts and just write the pattern. It finished up at 22 pages! I had a lot of fun putting together so many ideas for this pattern. Although this project was a lot of work, I've decided to keep the price at $8 like my other pattern. I have no intention of writing another pattern that is this extensive or that has as many design ideas, but I really enjoyed the process of creating this one. I also added five different sketch sheets at the end to allow you the opportunity to color and create your own unique layouts and designs. I hope you enjoy all the extras! The pdf pattern is on sale this week for $6.50 on Craftsy and Etsy! 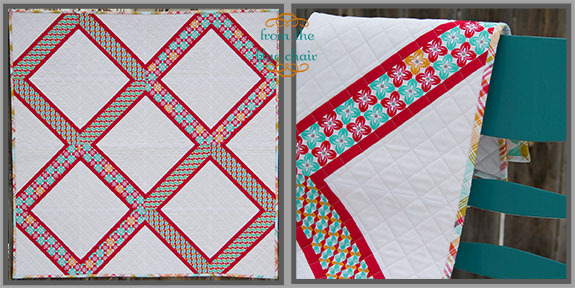 If you purchase it from Craftsy you'll receive an automatic link to download the pattern. If you purchase from Etsy I will email the pattern to you within 24 hours. I really like all the layouts, especially the one made with Notting Hill. The sold red frames are really nice! 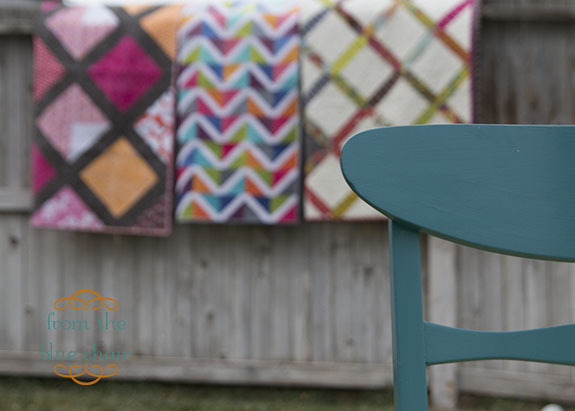 I didn't buy this pattern but I used your tutorial to make a quilt for my mom and I just wanted to pop over and tell everyone that it is a super easy method to getting a really accurate block which is so key to this quilt pattern. 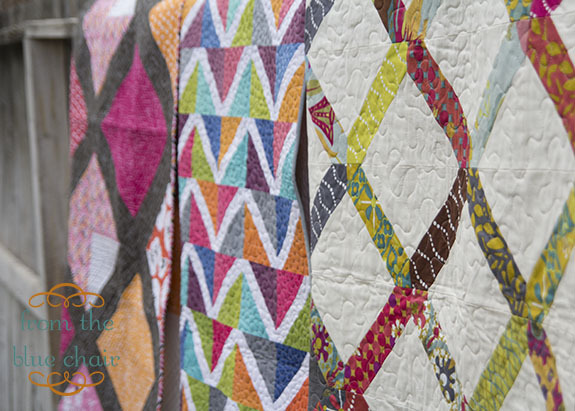 It was so well written and easy to follow that I was able to put my quilt together in no time. Congrats on the new pattern! Fantastic once again Kati! I love to see different versions of the same block! beautiful Kati! 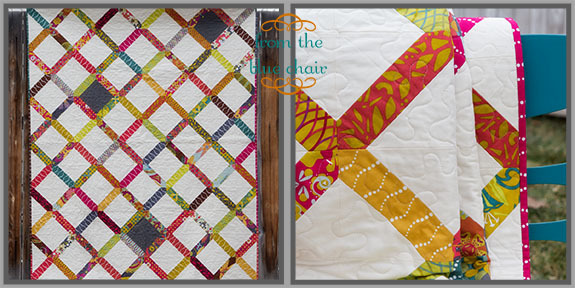 The styling and the quilts are wonderful! They're all so pretty - I just got the pattern on Craftsy! I love the Madrona Road version, and now its on my list!